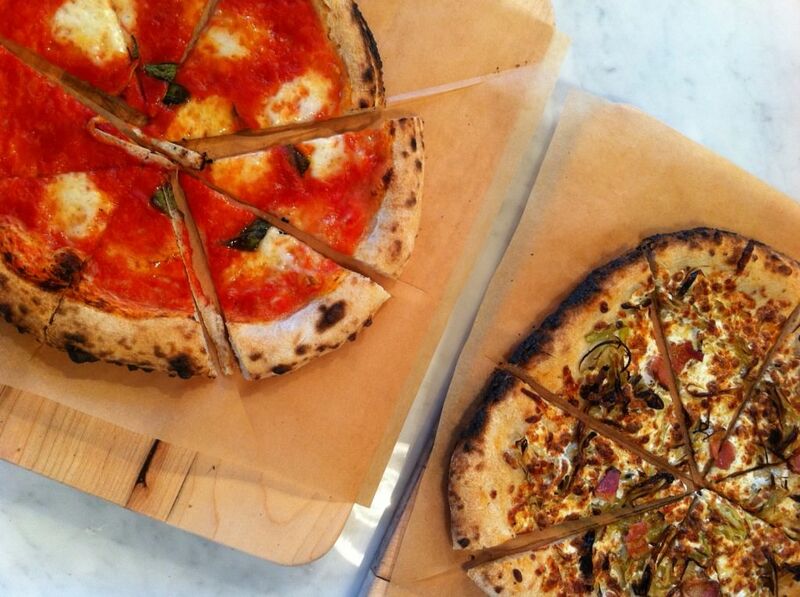 Pizza purists will be ecstatic about the opening of Bufalina. Matt Scialabba and Melissa Pellegrino, the young and earnest owners (and authors of the cookbook, The Italian Farmer’s Table) know plenty about Italian cooking but are particularly passionate about pizza! Bufalina boasts a wood-fired oven imported from Italy and meticulously selected ingredients: flour from Naples, locally-sourced toppings and daily deliveries of fresh Buffalo mozzarella. The skinny crusts have the perfect ratio of chewy to char and the combinations are anything but run of the mill. We sampled the classic Bufalina (mozzarella, tomato and basil) and the incredible Porri (carmelized leek, pancetta, scamorza). Ridiculously stuffed, we still couldn’t resist our neighbor’s offer of a slice of Nutella for dessert. Perfection. BYOB, the marble counter seats six and there’s a picnic table outside, but it’s mainly take-out.